Let me introduce you to my new favorite fragrance – English Laundry Signature for Her by Christopher Wicks. 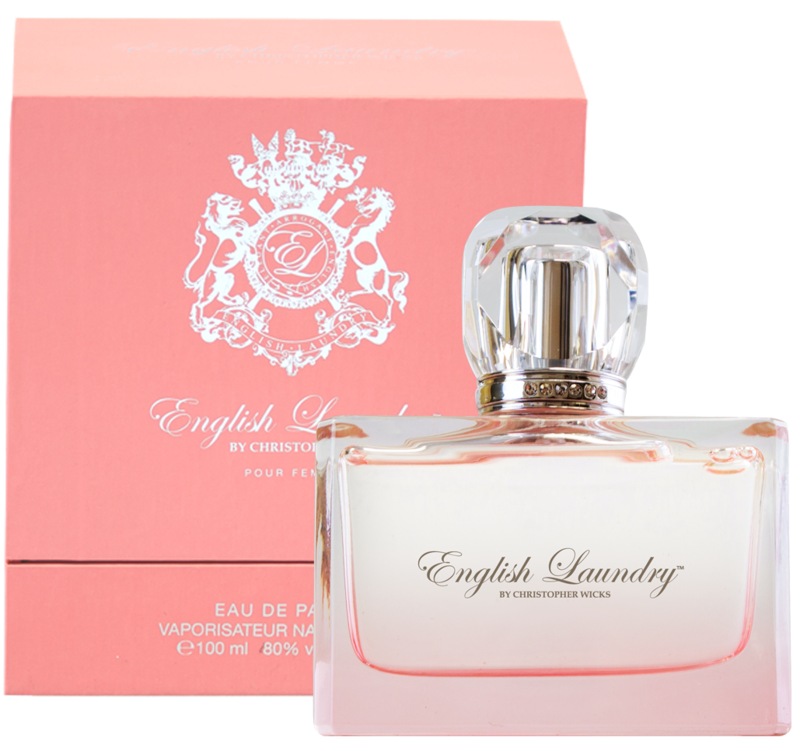 The English Laundry website describes the Signature fragrance as one that “opens with quince, complimented by white chocolate and jasmine petals at the heart. For a purely peaceful scent, notes of orris roots, powdery musk and sensual woods have been composed at the base. I don’t normally talk about fragrances because it is such a personal thing. Everyone’s noses and preferences are so different. I don’t even know how one would actually go about reviewing perfumes. But, despite that, I felt the need to tell you about English Laundry Signature. I have been wearing the same perfume for about the last six or seven years. I like the scent, and my husband is not allergic to it. I have to be careful about perfumes because if my husband is allergic he’ll sneeze nonstop until I shower. Needless to say, if I find something I like and that he can tolerate, I stick with it. Thank goodness he is not allergic to English Laundry Signature because I love it! And, for the first time in years, I’m wearing something different. It is a very sweet, light, delicate smelling perfume. It is not overbearing at all. So next time you are in the market for a new fragrance be sure to test English Laundry Signature and let me know if you like it as much as I do.